I am very, very positive and totally motivated. 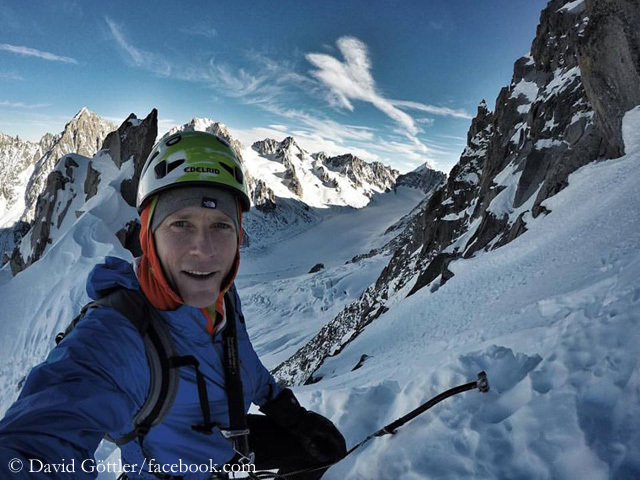 I think I have rarely invested so much time, training and preparation for an expedition. 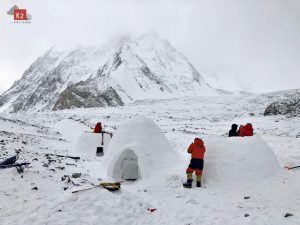 There could be a new route on an eight-thousander. 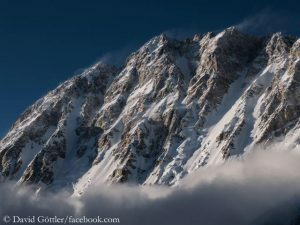 I’ve been on Shishapangma South Face last year and know what it looks like there, and it’s absolutely possible. I feel quite tense, but in a very positive sense. 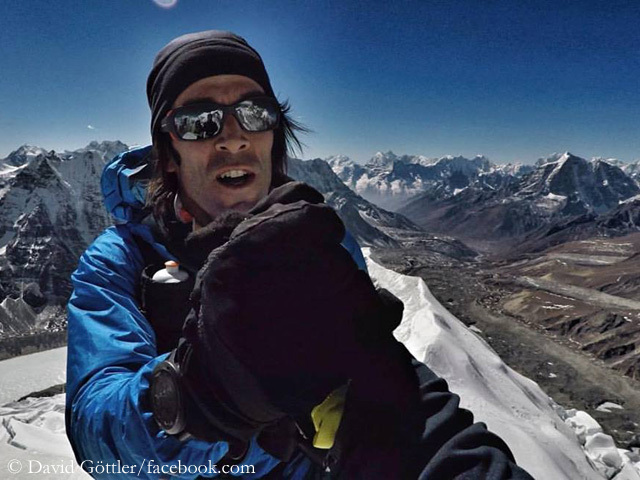 You trained intensively in the Khumbu area in February, along with Hervé Barmasse and Ueli Steck. 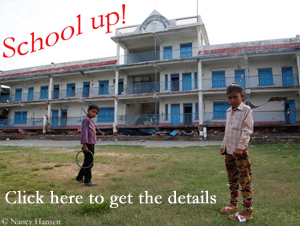 Has this special pre-training in Nepal proven successful from your point of view? Only when we are back from the Khumbu in two weeks, I’ll be able to say whether it really has paid off as we hope. But considering how I felt at home in the mountains around Chamonix at 4,000 meters, I can already say that I feel a very positive effect. You will spend two weeks in Nepal before you travel to Shishapangma in Tibet. What exactly are you planning to acclimatize? 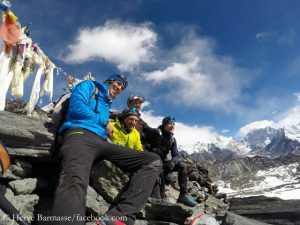 We don’t want to spend such a training-intensive time as in February, when we really did a lot of mountain running. Instead, we seek to manage our resources a bit. But of course we will hike and climb. 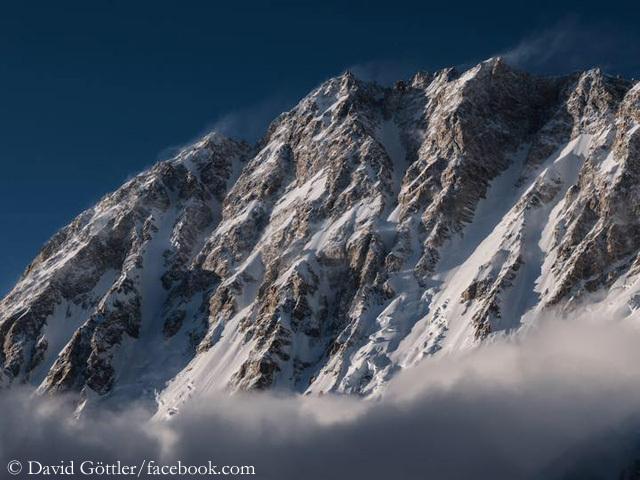 In February, we deposited our equipment in Chukhung [village at 4,730 meters in the Khumbu area]. There we will pitch up our “Base Camp”. 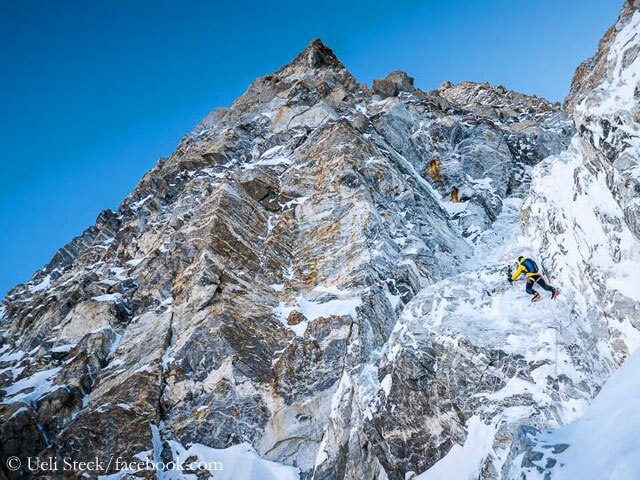 From there we will definitely climb Island Peak [a technically relatively easy 6,180-meter-high mountain] again and cross the usual passes. But we will not do anything really challenging. We save this for Shishapangma. 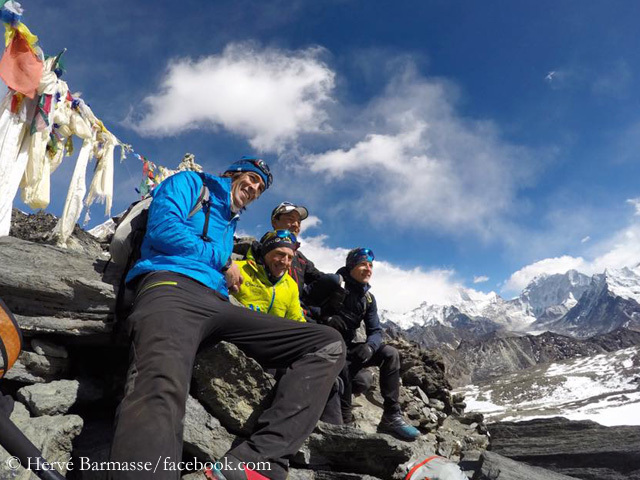 Last year, you traveled to Shishapangma South Face along with Ueli Steck, now with Hervé Barmasse. The same geographical destination – also exactly the same sporting goal? I want to realize last year’s idea to open a new route through the Shishapangma South Face now with Hervé. That’s our goal. In 2016, due to the unstable weather, it ended with two one-day attempts. I hope we will have more stable weather in Tibet this spring, so that we can seriously try to climb this new route – and hopefully succeed. You were speed climbing last year. Do you take more time now? We can not be so fast on the new route. It is technical terrain, the key passage which you can recognize on pictures is quite far up. We plan to climb the wall within about three days. This means that we will have automatically no longer this high speed, because we need tent, sleeping bag, mat, cooker and food. This is a big millstone around our neck and makes us slower. It will not be possible to climb this technically challenging route and descend in one day. 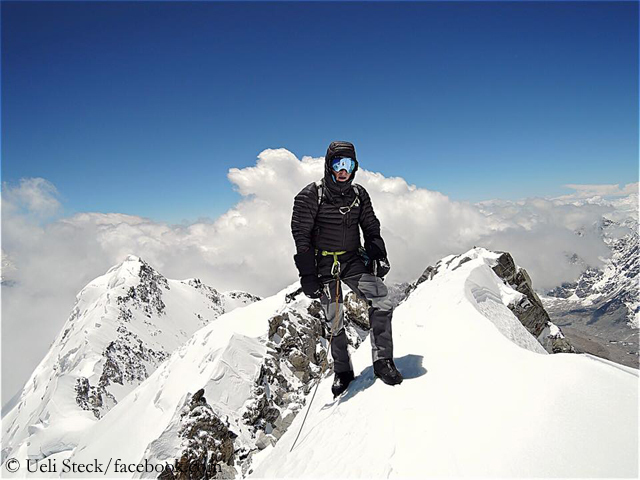 Do you consider, as Ueli and you did last year, to traverse the summit and descent on the north side of Shishapangma? We want to descend on the south side – also because I know two descend options from last year. This is much easier from the logistic point of view. A traverse is not our priority issue. Do you believe that your chances have increased because you’ve been there last year? Definitely. For such challenging goals, you may have to invest two or three years to get to know the conditions better. I think, I now have a much better feel for the wall. I know exactly what awaits us there. This is mentally an advantage. In addition, I could train accordingly. But you can not influence the weather. Of course not. I always quarrel with it, because I invest so much in the preparation and try to eliminate all the uncertainties. But in the end, I’m going to engage with a game where I can not control many components, like the weather or the conditions. If such a thing happens like the earthquake in 2015, there’s nothing you can do. 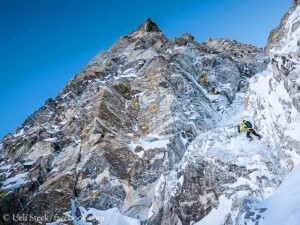 The rules have not changed: No matter how well prepared or fit I am, in the end it depends on whether we get a weather window of three or four days to make a real attempt. 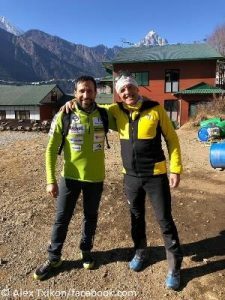 On the one hand, I am a bit bothered by it, on the other hand it is exactly what defines expedition mountaineering, that you don’t have such a kind of certainty. You will be now on expedition with Hervé for the first time? Do you have good chemistry? Yes. It’s just good to be en route with an Italian, because you always have fun. We are about the same age and we have many similarities in life. We’ve known each other for a long time, we’ve trained together. However, we’ve never done such a great thing like this before. But I have a great feeling. I think we work very well as a team. This will be very important this time. Besides Hervé and me, only a cook and a kitchen boy will be in Base Camp. 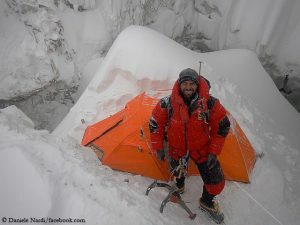 It will be even lonelier than, for example, on Nanga Parbat in winter. I am already looking forward to experiencing this unfiltered, pure expedition feeling in such a small team.